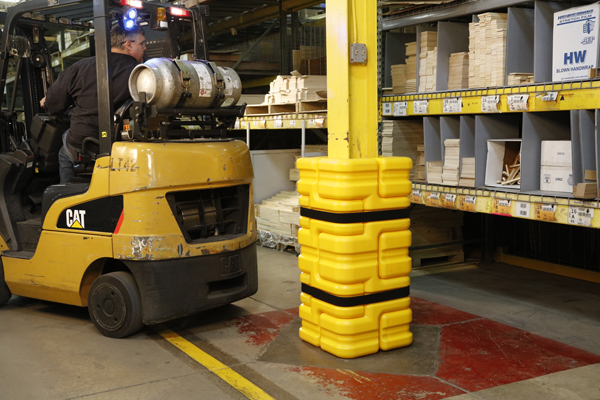 Column Sentry® FIT Medium is an adjustable column protector designed to fit columns 8"x8"(200x200mm) up to 12"x12" (300x300mm) in size. This one is made in a highly visible black/yellow combination. 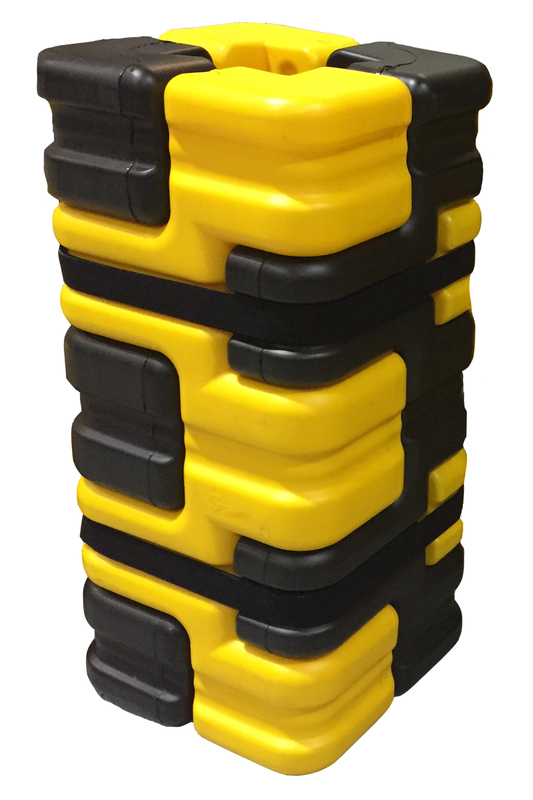 Column Sentry® FIT Medium is an adjustable column protector designed to fit around square, round, or H-columns from 8"x8" (200x200mm) up to 12"x12" (300x300mm) in size. With an expandable outside diameter starting at 20" (508mm), the Column Sentry® FIT Medium is a good fit for most columns. Weighs 48 lbs. (22kg) . Tough, highly visible, easily installed, cost effective and versatile. An exclusive, patented air vent system allows air to escape during impact without splitting the sides. 4-sided design slides and adjust to fit exactly around columns within range. Design provides equal protection all around the column. Molded from a specific mixture of HDPE and EVA. Stackable. Weatherproof, chemical resistant and UV stabilized. Bounces back impact after impact protecting structural columns from collision damage.